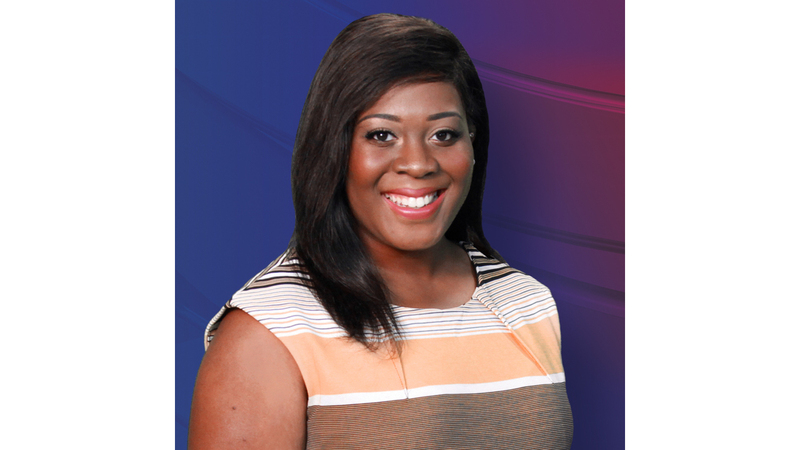 Katya Guillaume is happy to be back up north and join the News10 ABC team. Before coming to the Capitol Region, she was in the Lone Star state where she was a reporter at the NBC/FOX affiliate in Wichita Falls, TX. During her time in Wichita Falls, TX, Katya focused on sharing stories that mattered in the community. Although it's a small market, she learned a lot on how to tell compelling stories, grab the audiences attention and learn from some of the best in this business. Katya is happy to be back in North. She's originally from Bridgeport Connecticut and grew up in Montreal, Canada. After spending many cold winters and short summers in Canada, she moved south, all the way to Florida. Katya is a proud member of Alpha Kappa Alpha Sorority, Inc., the National Association of Black Journalist and values community service. On her spare time, you can also catch Katya in the kitchen or trying out local any local restaurants in town, when she's not busy travelling. She would love to get your suggestions on what local restaurant to try out next. One thing many may be surprised to learn about Katya is that she loves sports. She's always staying up to date with the latest sports news and you can always catch her watching a game or two, of course, when football and basketball season rolls around. She'll tell you who her favorite team is but it won't be easy getting it out of her. Katya always had a passion for story-telling and she would love to tell yours. You can send her an email at kguillaume@news10.com or follow her on Facebook, and Twitter. You can also follow her adventures on Instagram.